Scott Carroll uses steel and mixed media to create works of fused geometric shapes. Carroll's background in geology and creative interest in nature has inspired and influenced these forms. In the past, Carroll has regarded his sculpture as visual and poetic translations of what he believes are sacred natural elements: creeks, rivers, caves, and rock formations. 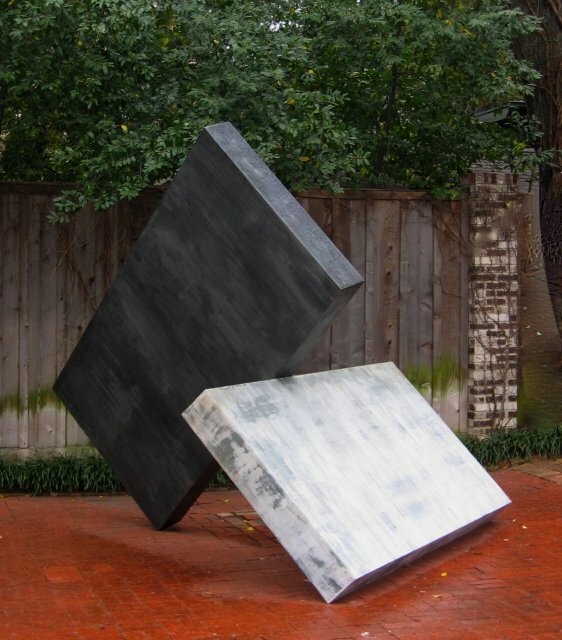 Progressing and continuing to explore his media, this new body of work begins with one of the simplest of forms, the square, and manipulates it into various configurations, angles, folds, and shapes.